Sneakers time! If you do like experiments, then I highly recommend giving a try to the following outfit idea. 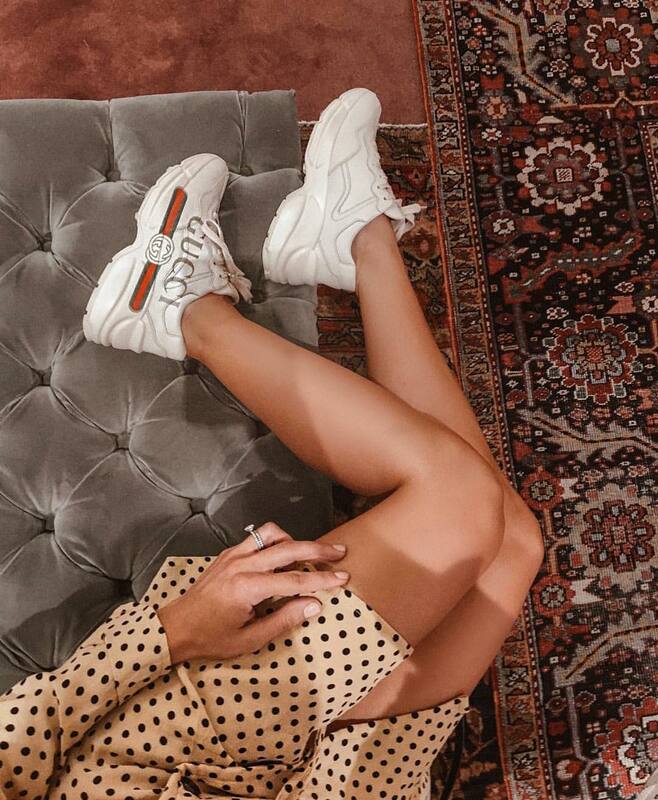 It consists of a polka dot dress and chunky sneakers in white. The look is unique and feminine. Love the bulky touch of these white sneakers.